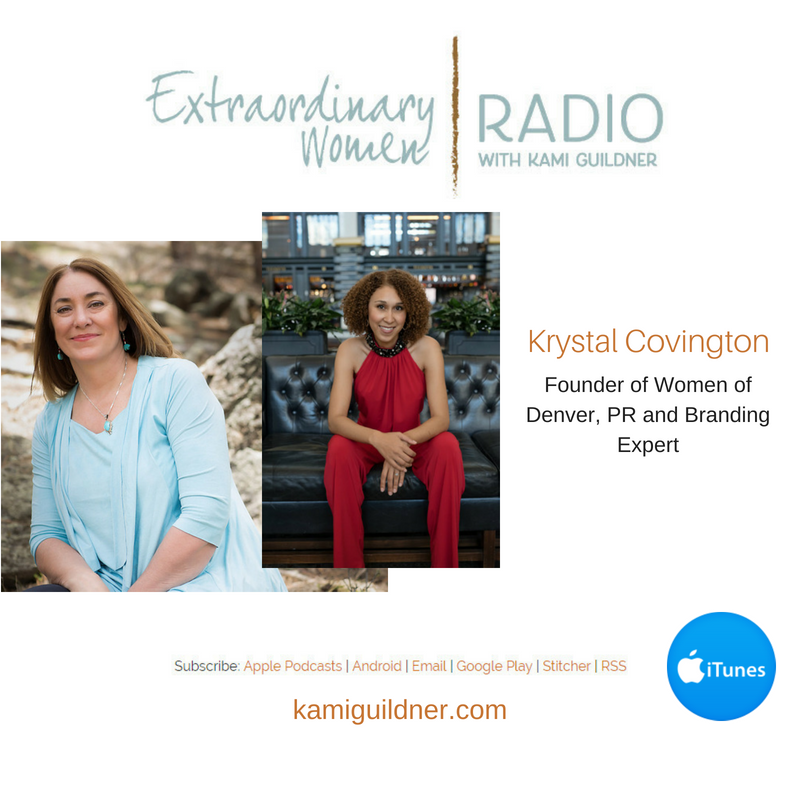 Today’s Extraordinary Women Radio interview is with Krystal Covington, the Founder and CEO of Women of Denver, a social enterprise association and quarterly magazine. Krystal was on my Extraordinary Women Connect stage last Fall, and I’m on a panel at Krystal’s Women of Denver Quarterly Networking party this coming Saturday evening, which I understand brings 150 women together in a single evening. And then I speak at her monthly Women of Denver meeting on June 21 on “The Brand of You: Igniting Your Presence, Purpose and Profile as a Change Maker.” You can learn more about both of these events here. Come join us – it would be great to see you there! Denver is such a happening place for female entrepreneurs with several growing and collaborative groups like Women of Denver, my own Extraordinary Women Connect, The Dames, eWoman Network Denver, FemCity Denver and others. I’m in awe of all the collaboration and ways Denver women entrepreneurs are coming together to uplift one another! It’s a pretty cool energy of incubation and support. Life goes in waves, just like sounds and just like water. There will be ups and downs, and be sure to have a plan for the lows in life. Krystal is a TEDx presenter, a national speaker and trainer and a regular Forbes contributor. You can learn more about Krystal on her KrystalCovington.com and TheWomenOfDenver.com or follow her on Facebook or Twitter. Be sure to check out her new Women of Denver Magazine! Let’s meet Krystal Covington of Women of Denver.